“Reconstruction of the Metrorail system will continue over the weekend of January 9-11, 2015 with service adjustments on five of six rail lines. This weekend, Green Line trains will operate on a normal schedule. Red Line trains will run every 10-20 minutes. Orange, Silver, Blue and Yellow line trains will operate every 16 minutes. From 12:01 a.m. Saturday through closing Sunday, buses will replace Yellow and Blue line trains between King St-Old Town and Reagan National Airport stations. On Saturday and Sunday between 9 a.m. and 9 p.m., additional trains will run between Van Ness & Silver Spring, resulting in service every 10 to 12 minutes between these stations. Work Performed: Rehabilitation of floating concrete slabs and joint elimination for a safer, smoother ride between Friendship Heights & Van Ness; track, fastener and insulator renewal for more reliable service between Silver Spring & Wheaton. 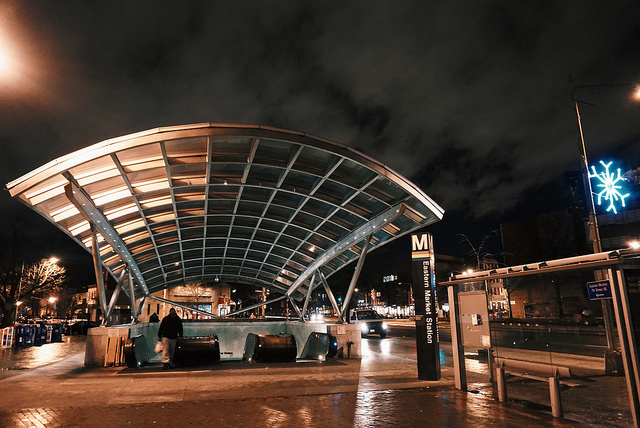 Silver Line trains will operate every 16 minutes throughout the weekend. From 12:01 a.m. Saturday through closing Sunday, buses will replace Blue Line trains between King St-Old Town & Reagan National Airport stations. During this time, Braddock Road Station will be closed. Please allow additional time for shuttle bus service. From 12:01 a.m. Saturday through closing Sunday, buses will replace Yellow Line trains between King St-Old Town & Reagan National Airport stations. During this time, Braddock Road Station will be closed. Please allow additional time for shuttle bus service.